Jam packed evenings with local musicians, creative activities and pop-up talks. Featured food and craft beverage items available for purchase on-site. 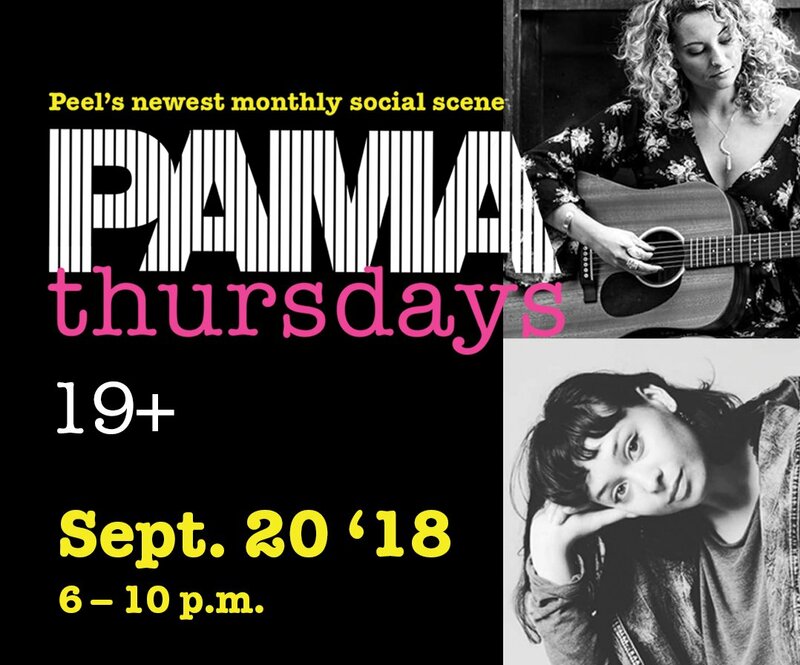 Sept. 20 - PAMA Thursdays Kick-off! Featuring music by Collette Andrea and Juniper Alien, food from Sul Irmaos and drinks from Spirit Tree Estate Cidery. Tickets. Oct. 25 - Masks and Mischief. Featuring music acts Death Party Playground and Al Quinn, food from Rick's Good Eats and drinks from GoodLot Farmstead Brewing Co. Tickets. Nov. 22 - 1960's Throwback. With music by Matthew Wittmann and Wilson & The Cast Aways. Tickets.